Working with us is unlike any outdoor renovation project you have ever experienced. We take pride in building strong relationships with our customers and collaborating to come up with the best solutions for the site. We design, detail, and install outdoor living features such as fire places, fire pits, patios, water features, outdoor structures and more. We are the Belgard Authorized Contractor for Central and East Central Indiana. We are your go-to source for quality, precision, and accurate installation integrity. Come home to a new outdoor lifestyle. We create beautiful, long lasting investments in the exterior of your home. From walkways, patios, and pool surrounds, to fireplaces, bars, and complete outdoor kitchens, Brick Terra, along with our sister company Ross Lawns & Landscaping, can complete and maintain your landscaping dream from start to finish. 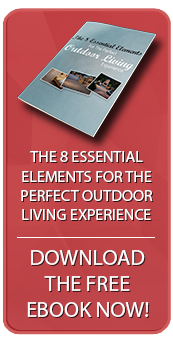 Download this free eBook and discover the 8 essential elements for the ultimate outdoor living space. Note, all photos of materials on this site are property of Belgard from Belgard.com.